You can add email address after you enabled two step verification on your Android phones or tablets. You can find the tutorial about that on this page with pictures and detailed information on every steps. We also recommended you to add an email address while we were telling you how to enable two step verification service on WhatsApp since it will protect your account. Otherwise you will never want to forget your pin since it will bring serious issues with WhatsApp messenger to you. Let’s begin to tell all these steps for adding email service and provide screenshots to you. You can ask us at the comment section below of this content if you have any questions regarding this issue or if you ever fail to do one of steps. Can People See My Email Address if I Add it to Two-step Verification? 1-) Run WhatsApp on your phone or tablet. 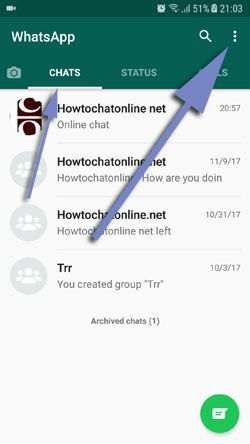 2-) Make sure that you are in “Chats” section on the app and then tap on “three dot menu of WhatsApp” as we have shown with the big arrow below. 3-) The menu will appear on your phone/tablet’s screen. Now you need to tap “Settings“. 4-) Tap “Account” on the settings page. 5-) Tap “Two-steps Verification” section on the account page. 6-) Tap “Add email address” on the page. 7-) Add your email address to the field which will appear on the screen. Then you will need to confirm your email address again. After you confirmed your email account, email address will be activated for your account. If you just want to change your email address, you can check our guideline for changing email for WhatsApp PIN. Actually enabling email account for two step verification will be a right movement of you. There is not any negative of this but positive since you will need to recover your PIN if you ever forget it. Also See: Forgot WhatsApp PIN (Verification Code) and No Email Address, How to Recover? 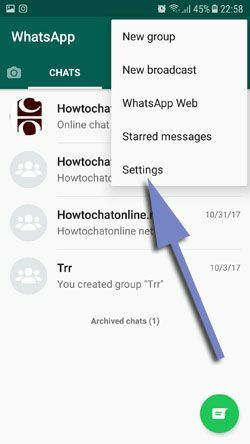 I would like to enable two step verification and it seems email is very necessary for recovering an account on this feature of WhatsApp. However I don’t want people to see my email address. I am curious, if I add my email address to two-step verification, can people see it? There is nothing to worry about WhatsApp’s two-steps verification. It is very necessary as you have mentioned above because it is the only way to recover your PIN if you ever forget it. You will able to recover your PIN if you add an email address. Your email address for two-step verification is only a secret between you and WhatsApp Messenger and no one able to see it. There is not already an option like that on the application. Your contacts won’t also able to see the address that you have entered for the verification. 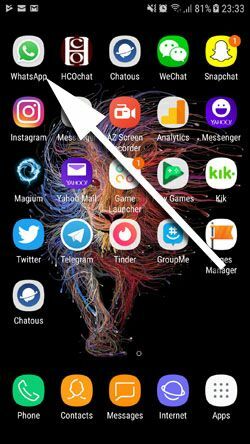 You will able to secure your conversations on your phone with this feature of the app and there is nothing to worry about privacy. Whatsapp two step verification is giving me problems. What kind of problems Daantjie?